We are only 13 years into the 21st century and already the world of marketing has changed forever in a way that few could have predicted. MySpace was the first social media channel to affect the way that word of mouth advertising occurred. It was not until many years later that this word of mouth marketing dramatically changed. With Facebook, Twitter and Instagram having massive numbers of users, it is virtually impossible to not hear what your customers are saying. Word of mouth was previously only portable from one person to a few people maximum. If you happened to talk to someone just after having a great experience, you might tell that person. But that person is unlikely to tell another person which means the word of mouth success has ended (barring a few exceptions). 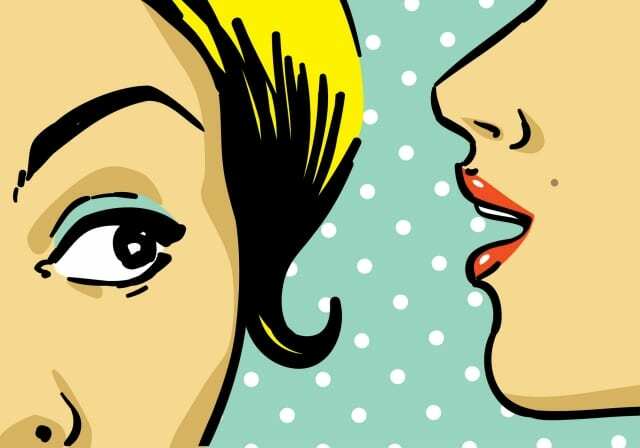 Today with social media, word of mouth spreads to a larger base of people – fast. If you have 100 Facebook friends, a good portion of those are going to see a message about your customer experience and therefore the word of mouth marketing instantly reaches more people. To further the truth, I saw two examples on my own twitter feed today and one from earlier last week that are embedded in my mind, and will affect how I view these companies in the future. These three people, while I have access to them through social media, it is quite possible that I will never see them again face to face. If we went back 5+ years ago, I would never have heard about these great customer experiences that were had with genuine people I can trust. This parlays into another area where you can explore. If the above people were able to influence me, and a number of other followers it is scary to think how many people celebrities can influence by portraying a message. Many companies already use celebrities to endorse their products by paying big money for a single tweet to all their fans that live off their every word. But being able to wow a celebrity into making a casual tweet about your product is the best form of marketing that money cannot buy, if there is an opportunity look to take it. Titleist got some great word of mouth advertising recently with tweeting to his 1.3m followers a thank you message. Technology has also enabled customers to looks at reviews before making various purchases and research shows 64% of customers do. There are many user based review sites which can be hard for your business to control except for always providing great customer experiences. What you can control is the testimonials on your website. But you need to be real, just putting some text up with a default name does not cut it now. There needs to be a real customer’s face to the testimonial. You can go one step further and make mini videos to show your potential customers real people in real time. Keep updating these testimonials regularly and leverage social media’s word of mouth marketing by putting them on your Facebook, Instagram and Twitter accounts. Try and be creative, and engage your followers and they may spread the message to their friends and the multiplier effect will kick in. Technology has changed the way that word of mouth marketing works. Using social media to get your users and celebrities to talk about your product (in a good way) can transform your business, however this also means that you need to always ensure you are on your A-game as the results can be devastating if negative word of mouth spreads. Leverage your social media channels to spread your customer’s good words as often as possible.